It’s hard to beat a 10k race for starting the New Year for two reasons. One, every one’s in a good mood for the holidays and the event is pretty good natured. The more practical reason is that it’s good to have off-season reality checks to see how well you’re really doing with your training. These smaller, less intense races actually provide a lot of good information to take into your goal races later in the year. And besides, if you run well, you can say “Wow, I’m ahead of where I thought I would be!”. But if you run poorly, you can console yourself with “Well, I still have plenty of time to train for the big race”. So how did it go for me at the New Year’s Day Run for a Healthy World 10k? I’m glad there’s plenty of time to train from my half-marathon race target. 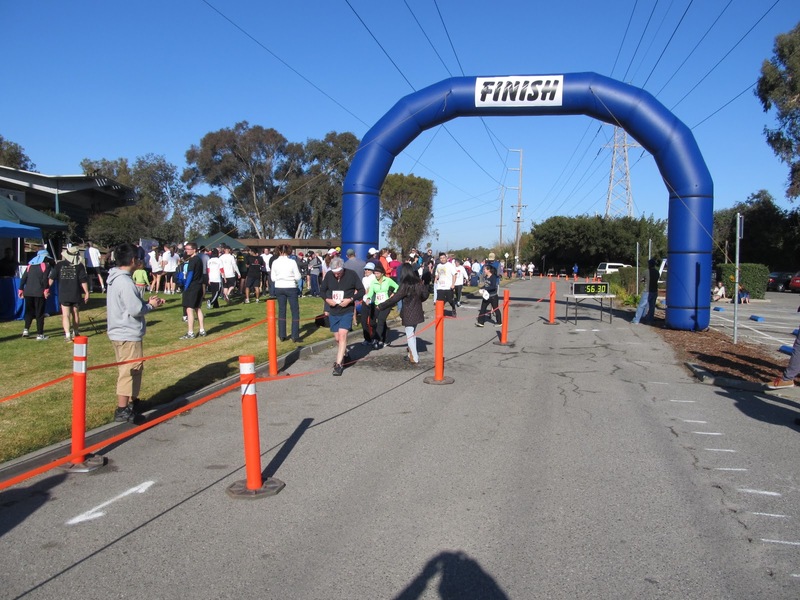 I finished with a time of 39:39 for the 10k run on mostly gravel paths in the Palo Alto near the San Francisco Bay, virtually identical to last year’s time. That despite I put in a lot more mileage in 2011 than in 2010, when I was just coming off a dislocated shoulder in October and a bad flu in November. All things considered, it just was a pretty lack-luster performance. 1) A need to develop a better pace sense. The early pace at sub-6:10 was too fast, even though it seemed reserved and comfortable. Developing better pace sense should come from the weekly tempo runs I’ll start doing this week that really helped for last years half-marathons to run at a more even and energy efficient pace. 2) Find a way to stay focused and run strong at the end of the race. The end of a race is a lot about simply digging down and finding a way to get through a “crisis period” where your body and mind want to shut things down. 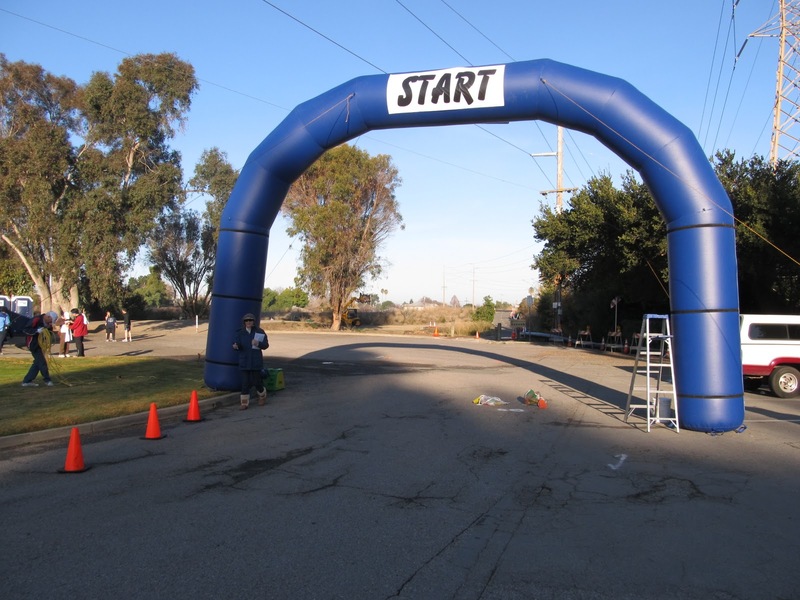 Of course, developing inner desire is an elusive intangible training objective, but putting yourself through a some “mini-hells” leading up to the race will prepare for the “total hell” at the key point in the big race. It’s time to start ratchet up the intensity on the hard days. So now that I have a good idea what I need to do, it’s time to starting doing it. You want to start out things well, but for a runner, it’s not realy about how you start. It’s how you finish. Yes, the elusive 10k running pace. I too am right around the 40 minute barrier and I am consistently starting WAAY to fast. Good recap, 5k intervals are always a great training tool. Previous Previous post: Ask Ramblings: How much weight is too much to be running?